The city of Stavanger will be hosting the sailing race The Tall Ships Races for the fourth time when the ships arrive in our harbour for the days from 26th until 29th July 2018. Stavanger municipality, in cooperation with Port of Stavanger and a range of sponsors and partners, is organising the event. The city of Stavanger enjoys a good reputation within the international tall ships’ environment for its ability to undertake major events, a reputation that we are to maintain and enhance to the fullest in 2018. Stavanger was official host port for the first time in 1997, then again in 2004 and in 2011. 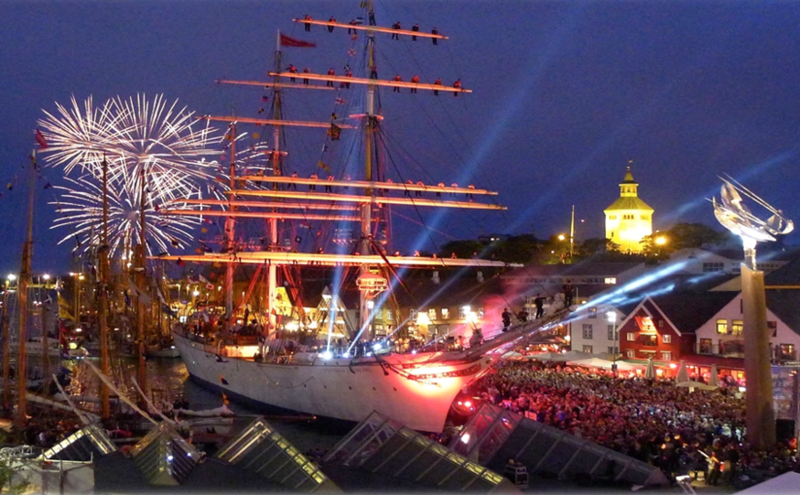 In 2011 over 70 tall ships with over 2,200 crew spent four wonderful days in Stavanger. It was an amazing sight and an unforgettable festival for the hundreds of thousands of residents and visitors who showed up to take part. With the history and experience from these previous events – and in collaboration with valuable sponsors and partners – we have clear aims and ambitions, once again, to make the 2018 tall ships event a fantastic festival for everyone. The previous events received valuable assistance from the Norwegian Navy and the Coastal Administration, and we will seek to achieve also for the 2018 event.